Rashid Lombard is a name that has a bit of clout in Cape Town’s music circles. Not as a musician though. He probably couldn’t play an instrument to save his life. Yet, his name is as well known as any of our best known musicians. Rashid is the man, in the main, who put our jazz scene in recent years, on the world map. He was the driving force in setting up the Cape Town International Jazz Festival that kicks off its 18th year in two weeks. A few years ago, the Cape Town International Jazz Festival (CTIJF) was ranked behind the New Orleans Jazz and Heritage Festival and above the North Sea Jazz Festival. That’s not bad company to be in. For more than a decade, Rashid signed up top international jazz stars and the best of the local talent – established and up-and-coming – to grace the stages of the CTIJF. Most music-lovers regarded the festival was the top event on the calendar and tickets were hard to come by. Three years ago, Rashid pulled the plug and left it to his long-time partner, Billy Domingo, to continue running it. In a sense he turned his back on the jazz festival but he did not turn his back on jazz. 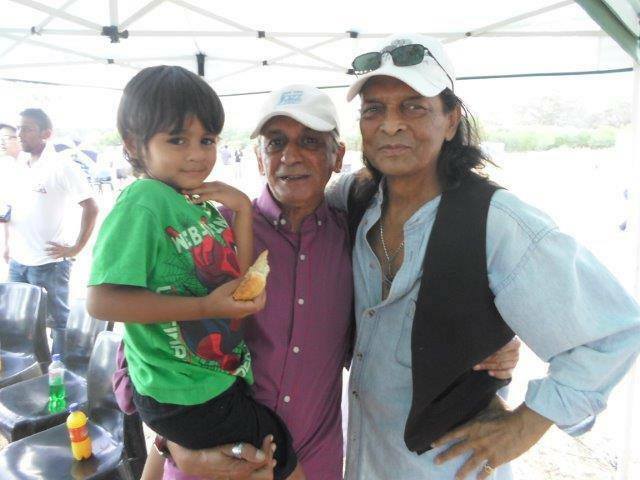 Rashid and his son, Daniel, with the late Zane Adams. Check out any jazz gig of note, and you’ll find Rashid there, surrounded by other jazz aficionados extolling the virtues of their favourite art form. It has been 50 years since I first met the man I know affectionately as “Pusher”. That’s what all his long-standing friends call him, and no, it’s not for what you might think it is. We were fellow travellers in a very hip Athlone area in 1968, hanging around nightclubs like Jay Jay’s Soul Workshop, Columbia ’68 and the Beverley Lounge. Things were cool. It was all about peace, love and getting high on the music of The Four Sounds, Respect and some other things. Given the road he has travelled since – ace photographer, festival organiser and jazz A-Lister – I thought maybe I’d indulge myself with “Twenty Question With . . . Rashid Lombard”. Maybe it’ll help you get an insight into the man. 1 Let’s cut to the chase here, it’s been four years since you walked away from organising the Cape Town International Jazz Festival. Do you miss it? I honestly thought I would miss the rush, but then I discovered cooking and lounging in my garden and, man, I missed out on just chilling! 2 What did you consider your greatest achievement in establishing CTIJF? Well, firstly the fact that I actually pulled off the festival with a dream and empty pockets. Secondly, establishing a festival that was all-inclusive, creating a platform for the young cats, the stalwarts both South African and international. And this became a successful formula. 3 What was your biggest coup in signing up artists for the CTIJF? There were so many, but Wayne Shorter because I worked on the booking for so many years. He has an all-star band – Danilo Perez, John Patitucci and Brian Blade. So I had to make sure their schedules corresponded with the CTIJF dates. This took about five years. But it was so worth it. 4 Who was your biggest disappointment in the artists you signed? There haven’t been any disappointments for me – I think some artists just have “off days” and we all do … we’re human after all. 5 If you had your time over, what would you do differently when putting the jazz festival together? I have no regrets in life … its all been a learning curve. 6 What have you been doing in the four years since you walked away from the CTIJF? Besides being home and spending time with my family, I am focusing on my photographic archives setting up an Archival and Digitising Centre. 7 What sparked your interest in music? As a schoolkid in the late Sixties you hung around nightclubs which was a far cry from the jazz aficionado that you are today. I grew up in Port Elizabeth in the ’50s and only moved to Cape Town when I was 12. My earliest memory of music was when I was seven years old and performed Elvis Presley’s Teddy Bear at a school concert. I was quite the Little Elvis impersonator in my youth. My two uncles loved music and I was exposed to the sounds of John Coltrane, Jimmy Smith, Miles Davis and the Danny Williams song Moon River – he is originally from PE. And I remember that feeling of “this is what I wanted to do”. I never learnt to play an instrument but the music resonated deep in my soul – I didn’t know how or what, but I knew there was that strong connection. 8 What do you remember about those days in the Sixties? It was all about free love and getting “stoned” wasn’t it? 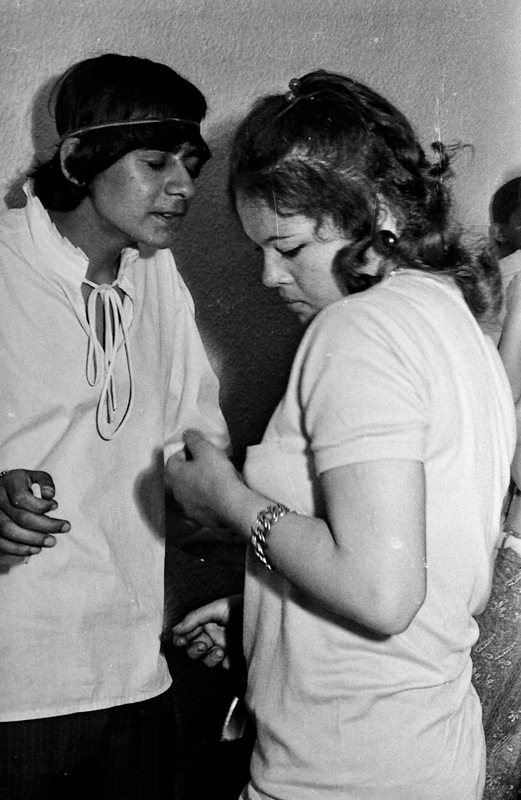 A young, teenaged Rashid Lombard at a house “jol”, so popular in the late Sixties. The ’60s was about “make love and not war”, this was the call during the time of the Vietnam war. There were house parties every night, we would play records, dance, get stoned, debate politics and from this we became part of the Liberation Movement. 9 When did you get interested in serious music before your transition into a jazz enthusiast? Was it linked to the likes of Oswietie, Skyf, Estudio? I’ve always been exposed to serious music- from a young age. As a photo journalist, moving among the exiles, the older musicians who stayed home and the new generation of young artists was one of the most beautiful periods of my life. The bands Oswietie, Skyf, Estudio – we spent so many hours honing our skills and teaching each other the politics of the Arts. These musicians became my lifelong friends and family. Some even ended up living with me. 10 Who are your favourite musicians from that era? International: Jimi Hendrix, Janis Joplin, Led Zeppelin, Miles Davis, Coltrane, Chicago, The Eagles, Crosby Stills Nash and Young, Santana. I really could go on forever. African/local acts: Pacific Express, Zayn Adams, Oswietie, Skyf, Estudio, The Four Sounds, Masekela, Abdullah Ibrahim, Mankunku, Miriam Makeba, The Blue Notes, Jijah Jungle, Robbie Jansen, Basil “Manenberg” Coetzee, Errol Dyers, Bheki Mseleku, Barney Rachabane, Stompie Manana, Chris Schilder, Duke Makasi, Ezra Ngcukana . . .
11 As far as pure jazz goes, who are the musicians you prefer to listen locally and internationally? Of the international artists, I love listening to Miles Davis’s (Kind of Blue) and anything that’s new and fresh on the circuit. 12 Would you say there is a difference in jazz taste in what Cape Town listens to and what Jo’burg listens to? No, in my world music is universal. 13 What did you make of your crowds at the festivals in terms of music taste? Did you cater for Cape Town and Jo’burg separately? This is the biggest risk I took with programming – I ensured that the talent was world-class and thus catered all for music lovers. If I programmed per region this would be against my ethos of “all inclusive”. 14 What do you make of the criticism in recent years that jazz festival isn’t an entirely accurate term when it comes to modern-day festivals? People will criticise you no matter what you do – it is their right to have an opinion. However, if you research all major successful festivals in the world, there has always been a cross genre of related music to make it financially viable. Only this way can you sustain your business. 15 Your interest in photography is well known. Is there a follow-up to your book, Jazz Rocks? Do you have a favourite photograph or a favourite musician that you like to. 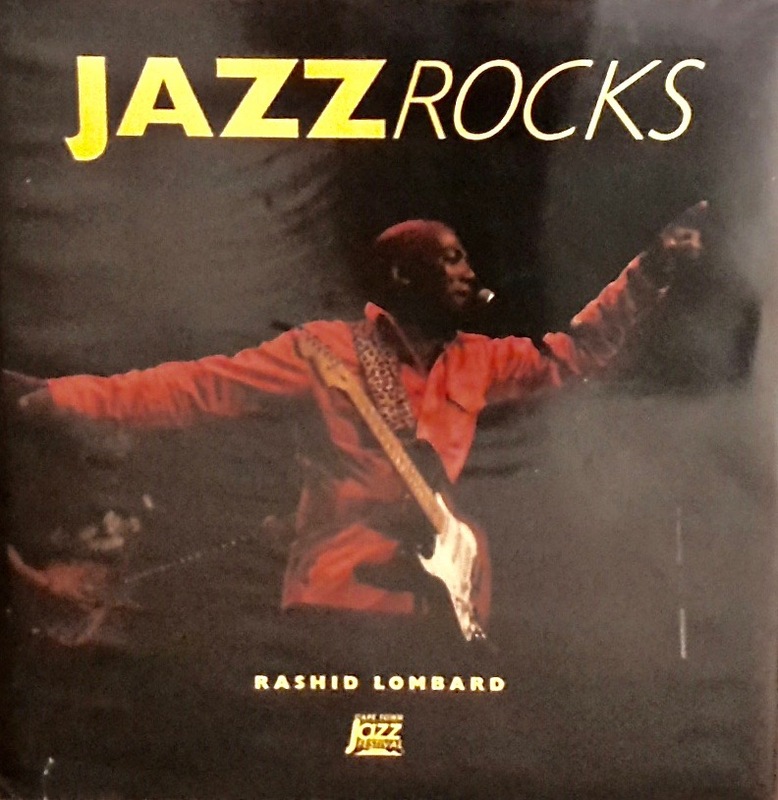 Rashid Lombard’s book of photographs, Jazz Rocks, which documents his time as a photo-journalist covering politics and music. I worked as a professional photo-journalist for 16 years. This was my full-time job. I stopped in 1994 after Nelson Mandela was sworn in as our first democratic black president. I went on to start radio stations, then the CTIJF. Now I’ve come full circle and I’m focusing on growing my Photography Archive business. 16 How do you rate your experiences with Mandela? Personally, he is one of the greatest men I have met. 17 When did the “politicisation” of Rashid Lombard begin? It started back in the 1950s in North End, Port Elizabeth – with the Group Areas Act. We were all living harmoniously together – white, black, Indian, coloured, Chinese . I remember the day when my friends were forcibly removed from their homes, never to be seen or heard of again. 18 Where do you slot in in the political spectrum . . . Charterist, BC, Unity Movement, PAC? 19 What do you think of the state of the nation post-apartheid, post-Mandela? Very interesting times and much work to be done. 20 What do want Rashid Lombard’s legacy to be? That no matter who you are – religion, race, male, female – you can achieve your dreams. I’m a true testament to that! 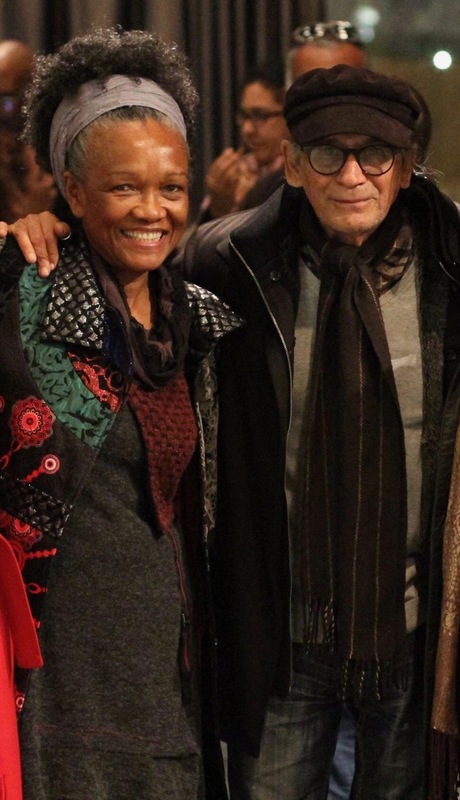 Rashid Lombard with journalist/author/producer Sylvia Vollenhoven at another A-List event in Cape Town. All material on this blog is copyrighted and permission has to be obtained to publish any part of it. What a trouper!! Brought back precious memories of our times at Columbia ’68, Beverley Lounge, Sherwood Lounge to name a few. If I ask him that, it will make it “21 Questions With . .. Rashid Lombard”. It just doesn’t sound right, does it? 21 Questions. It is such an odd number. What an interesting and rich legacy this man has left for jazz music fans and the essence of his work is sensitively captured in this fine piece of writing. May you both continue to flourish with good work. The author, especially, must be applauded for leaving a lasting tribute to those musicians who have provided much pleasure to so many, often at great personal cost.